On 26 May 2017, Martin Roll spoke at the Turkish Exporters Assembly meeting in Istanbul on “The 10 steps To Build Iconic Brands And The Next Drivers For Brand Turkey”. The business event was organized by the Ministry of Economy for the first time and was attended by Mehmet Büyükekşi (President of the Turkish Exporters Assembly), Nihat Zeybekci (Turkish Minister of Economy), Turkish exporters and strategy experts from around the world. The objective was how to promote a positive perception towards Brand Turkey. Established in 1993, the Turkish Exporters Assembly aims to serve as a solution center for export issues and establish policies towards the development of the export in addition to representation duty. Martin Roll started off his keynote speak with a quote by Infosys founder and mentor, Narayana Murthy, about strategy and how to go global: “To succeed in the global bazaar requires a global mindset”. In the era of globalization today, the role of country branding has never been more important than before for a country to be able to stand out from the crowd. Many psychological studies have shown that consumers are “cognitive misers” and rely on mental shortcuts to form perceptions – this is no different for countries. Country branding on a strategic level is crucial for brands and branding to become successful because the country of origin acts as a heuristic or rule of thumb for consumers. Country image can be used by brands as an extrinsic cue – a piece of information that is separate from the characteristics of a particular product or service, but adds positively to consumer perceptions and brand equity. As an example, Martin Roll gave the example of how IKEA has done more for the image of Sweden to the world, than any governmental efforts combined. IKEA has exported the Scandinavian way of living and unique design styles to the entire world, and the brand provides a taste of Scandinavian food in the IKEA restaurants. The entire IKEA experience is a brilliant showcase of Scandinavia. 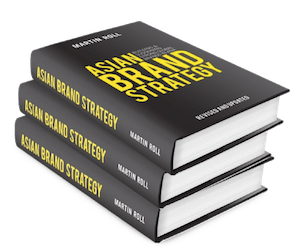 To build and successful sustain iconic global brands, Martin Roll firmly believes that brands and governments need to realize that effective brand building effort is a public-private partnership. One very good example is South Korea, which has now surpassed Japan as the role model for Asian beauty. As Korean home-grown skincare and cosmetic companies such as beauty firm AmorePacific expand overseas, they will owe much of their positive brand equity to the positive country of origin effect from South Korea. As AmorePacific globalize their multiple brands, the company will also help to add and shape global perceptions about the nation brand of South Korea. Electronic firms Samsung and LG have had a similar positive impact on the nation brand equity of Korea due to their rapid, global rise that influenced the way global stakeholders view Korea. Huawei is another successful Asian brand which has managed to overcome the challenge of its Chinese country of origin. Over the past two decades, Made in China has often been perceived as low-cost and low-quality with no distinct features or benefits. Huawei has worked hard in producing high quality products and has succeeded in overcoming negative or skeptical perceptions related to the Chinese country of origin. It is currently the world’s second-biggest maker of routers and telecommunications equipment after Sweden’s technology company Ericsson. For Turkish brands to successfully build strong global brands, they need to realize that value is derived from equal parts performance and perception. Performance refers to business strategy and execution while perception refers to the brand’s intangibles and narrative (story telling). Many companies are able to execute well and produce great products, but are unable to build strong, lasting brands because of the missing ingredients: perception and the management of intangible dimensions. It is equally important for companies to spend equivalent efforts in building the customer experience. The above are ten considerations that Turkish brands need to have in designing their brand strategies going forward. Martin Roll emphasized that Turkish brands need to calibrate their priorities from constantly trying to become better to now try to also become different. Turkish brands need to spend more time on creating and learning, and balance that with execution of global business strategies.